It amazes me to see people sinking their money into a machine with out having a card inserted in the card reader. I sometimes ask people why they don’t use a card and have received several different answers. The other day, someone was spouting off every slot myth in the book – “teaching” everyone around him, whether they cared or not. However, the biggest sin of this whole escapade was that he had taken out his card to “get a bonus” for nearly 10 minutes. His bet was over $8.00 a whack! Just think of the comps he missed out on due to his “Casino Paranoia.” That was the most foolish thing he could’ve done. “I don’t play enough to earn anything.” You would be surprised to see how quickly points can add up. “When I use my card the machine knows and doesn’t pay off.” There is no connection between the card reader and the slot machine. There is NO WAY that using a card will affect the way a machine pays. “I don’t want to give out my address to the casino.” The casino cannot send you any promotions if they don’t have your address. “I take my card out and I get a bonus – explain that!” Again, there is no connection between the card reader and the slot machine. There is NO WAY that using a card will affect the way a machine pays. “Playing with your slots club card decreases your chances of winning.” The theory is that the casinos want you to win less in order to recoup the perks and rebates that you receive from playing with the slot machine club. The reality is that the amount of money returned is negligible, and the casinos don’t mind paying it. Your perks depends on your theoretical Value. Click on the following link to see a previous post explaining Average Daily Theoretical. “When I use my card, I never win. The machine knows and it doesn’t pay off.” Although a very interesting and popular myth, this is absolutely false. The notion that using a casino club card lowers the odds of winning is a big misconception, and quite frankly illegal. “The slot machine can tell the difference between playing maximum and minimum.” That’s why I take out my card when I change my bet.” The number of coins played has no effect on whether or not the winning symbols will line up. It only determines how much you will win or lose. Many players will vary the number of coins they play per spin because they believe there is a pattern that can make them winners. Some players will even cash out during their playing sessions so the machine will “Think” a new player has started playing. 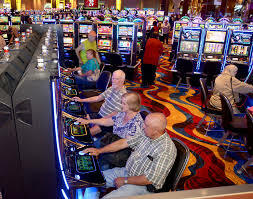 Slot machines are computers and there is no way they “know” when a new player starts playing. The RNG used to select winning combinations is not linked to the to the coin receptor so varying your coins or cashing out and starting again will not help you win. “Using a player card enables the casino to report my winnings to the IRS.” That fact is, it makes no difference. If you win $1,200 or more they will report it either way. If you have a net losing year, which you probably will, at least the casino will have evidence of it. Such annual win/loss statements may be used as evidence to declare offsetting loses to jackpot wins. Play sensible, play with knowledge, and play with your Players Card in the card reader.